Adequate and timely re-supply is essential for a successful mission. 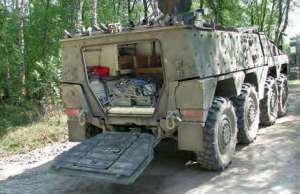 The Cargo variant of the BOXER vehicle is capable of safely distributing over two tonnes of supply items to units on the battlefield. The variant is equipped with an innovative system for safe and flexible cargo carrying and can transport a maximum of two standard one tonne army pallets. 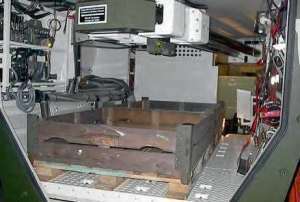 In a first batch the Dutch Army ordered 27 BOXER vehicles in the Cargo variant. The Cargo variant is an excellent support vehicle and is capable of distributing supply items under protection to all reconnaissance and combat units in theatre. The vehicle provides its two man crew with the equipment they need to achieve optimum task performance during operational missions. The interior design of the vehicle allows adaptation as necessary for different kinds of missions. 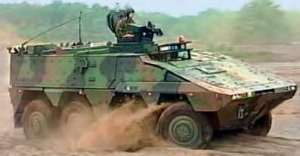 For conducting peace keeping missions or other peace time operations the set of vehicle equipment can be changed and tailored to suit as required.